Malware relies on users doing dumb stuff—which of course they will. You can also count on attacks continuing to grow and evolve. 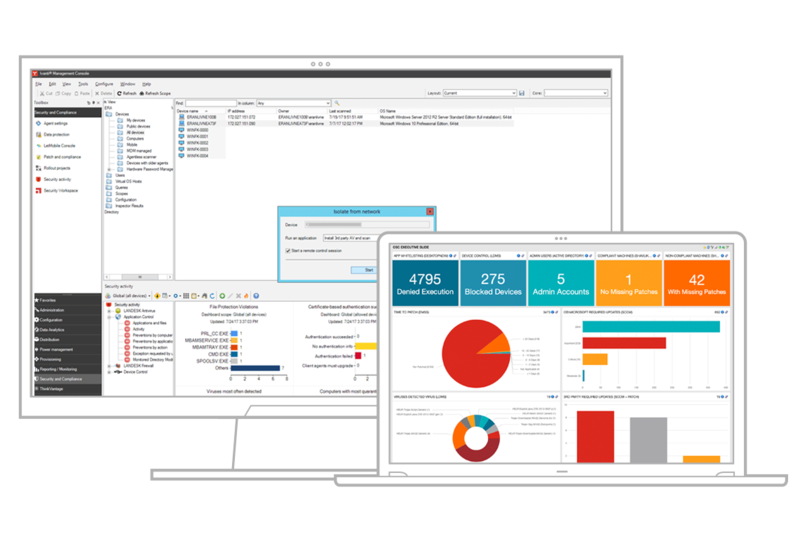 Powerful endpoint security management—media protection, remote endpoint control, security diagnostics, flexible dashboards and reporting, and more—with app control and automated patch management. Detect and prevent threats before they impact you, and respond swiftly to infections. Give your team the tools they need to be effective while saving time. 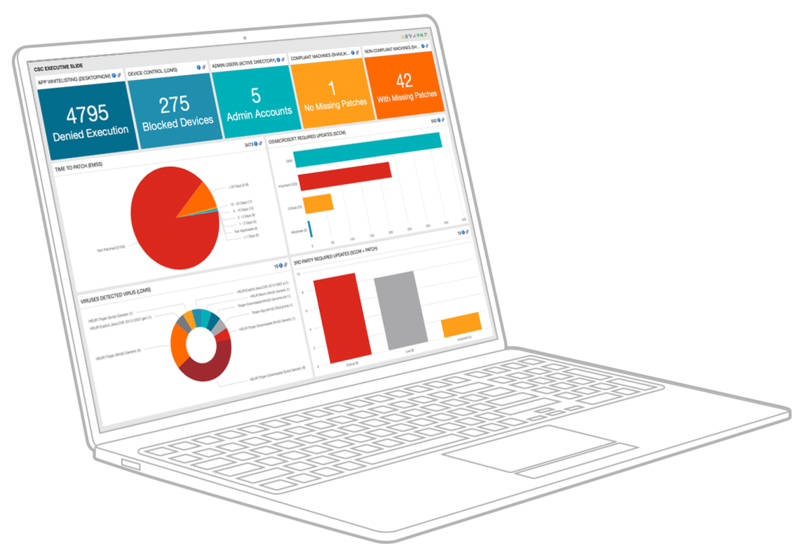 Gain insights about your environment, get help detecting security incidents, and take swift action automatically. Locking down users’ endpoints is not your only option for defence. Visualise vulnerabilities and security-related activity. Attackers are always developing new ways into your network. Just assume you're in a state of continuous compromise and act accordingly. Get the added prevention, insights, and rapid remediation you need to minimise downtime.